You cannot add any time to your life by worrying about it. No one has to remind you of the high cost of anxiety. (But I will anyway.) Worry divides the mind. The biblical word for worry (merimnao) is a compound of two Greek words, merizo (“to divide”) and nous (“the mind”). Anxiety splits our energy between today’s priorities and tomorrow’s problems. Part of our mind is on the now; the rest is on the not yet. The result is half-minded living. That’s not the only result. Worrying is not a disease, but it causes diseases. It has been connected to high blood pressure, heart trouble, blindness, migraine headaches, thyroid malfunctions, and a host of stomach disorders. Anxiety is an expensive habit. Of course, it might be worth the cost if it worked. But it doesn’t. Our frets are futile. Worry has never brightened a day, solved a problem, or cured a disease. 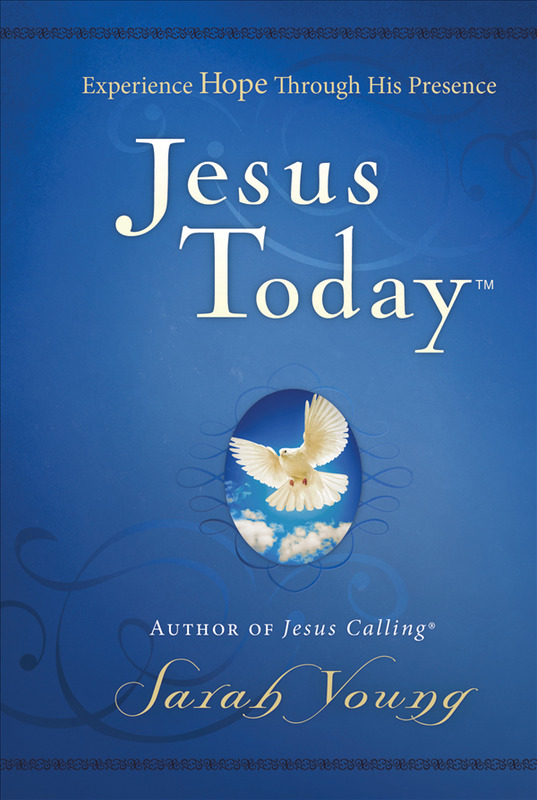 Written in the same style as Jesus Calling®, Jesus Today™contains all-new devotions for a hope-filled walk with God. Born out of missionary Sarah Young’s own trials, Jesus Today shows that hope shines brightest in adversity. Grow in grace, hear from God, and walk with Jesus Today.